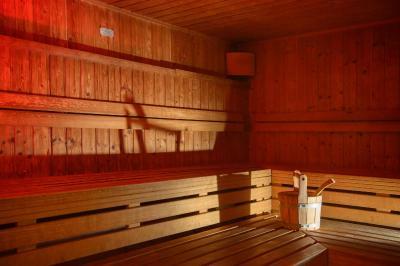 The Sauna in the fitness area was wonderful to have. Great for the body after flying 8.5 hours. Staff was very kind and helping. Rooms were clean and comfortable. Always a great hotel and great breakfast. Have stayed here a few times. 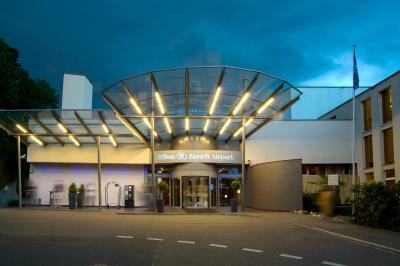 Close and convenient to the Zurich Airport offering free shuttle from the airport and free wifi in the shuttle. Clean and comfortable hotel. 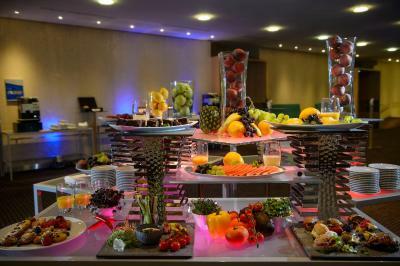 Was given free upgrade to executive suite which allowed us to receive the executive breakfast which was very good. 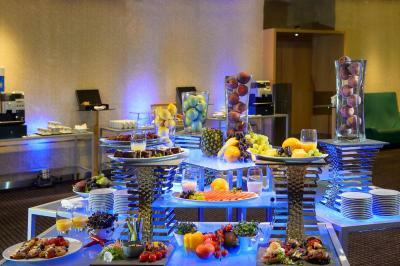 Breakfast included eggs, bacon, bread, yogurt, cereal, honeycomb, fresh fruit and assorted drinks. 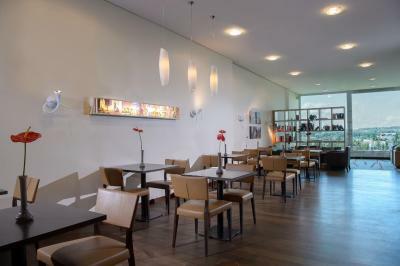 Located a few minutes from Zurich airport. Clean, modern, friendly- excellent! 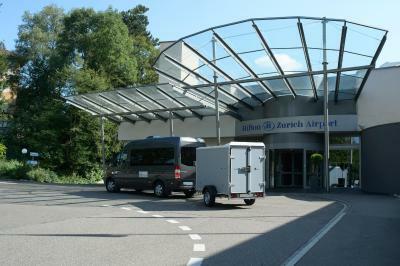 Nice airport location with good shuttle service. On site amenities such as fitness center, restaurant and ample parking. Extremely helpful. I had an credit card challenge and they took the time to correct it. I could not be more grateful. The bed was very comfortable. The lighting was fine. We did have one bedside lamp needing a new bulb. The maintenance man appeared almost immediately to exchange the light bulb and exchanged both bedside lamp bulbs. He said it was better to replace both since usually they both would go out about the same time. He was very curtious. 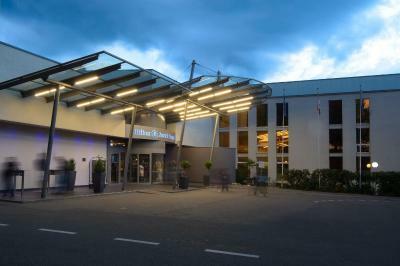 Easy access from the airport , clean hotel ,good services. 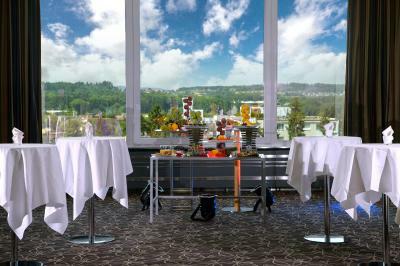 Just a 5-minute ride from Zurich Airport, the Hilton Zurich Airport is a 15-minute train ride or car drive from the city center. A free shuttle service from the airport to the hotel is available. All of the spacious rooms are at least 82 ft² in size and have MP3 alarm clocks, a flat-screen TV, and comfortable Serenity Beds. 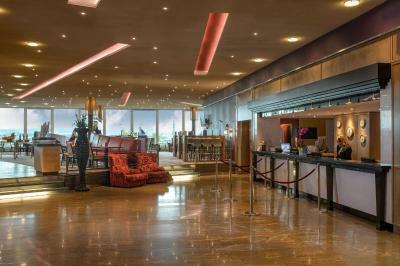 Guests benefit from free WiFi access in the entire hotel. 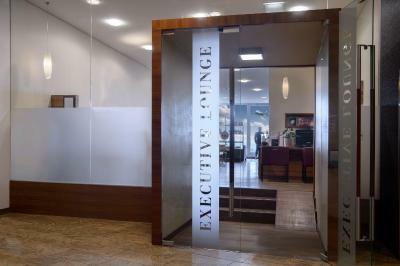 The property features an executive lounge and 250 parking spaces. 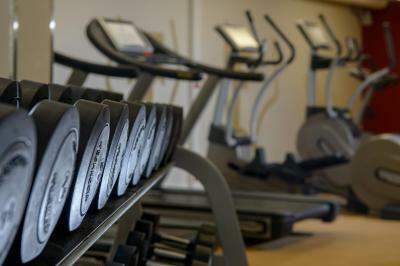 The fitness club is open 24 hours a day and has the latest training equipment, a sauna and a steam bath. For guests who prefer to go jogging, a scenic route runs behind the hotel that leads through forests and has breathtaking views of the Swiss Alps. 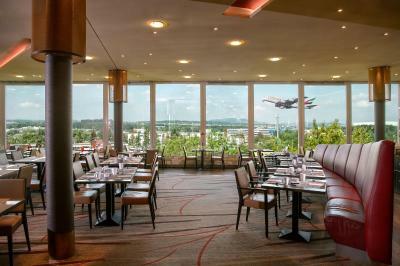 International cuisine and Swiss specialties are served in the Horizon10 Restaurant featuring a show kitchen. 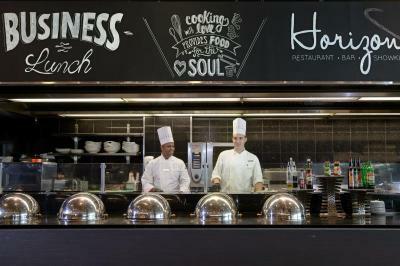 Panorama-brunches can be enjoyed every first Sunday of the month and on selected public holidays. 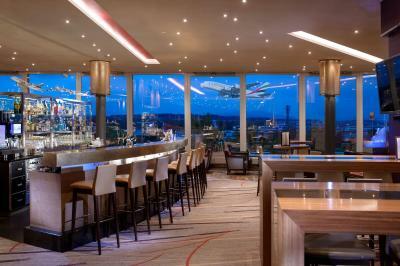 The Lobby Bar is the ideal place to enjoy a cocktail, a snack or a glass of quality wine while taking in fabulous views over Northern Zurich. 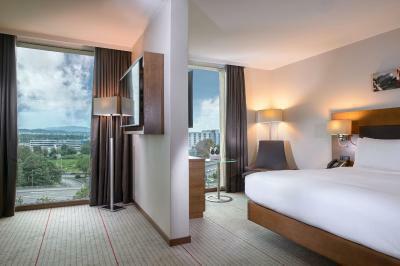 When would you like to stay at Hilton Zurich Airport? 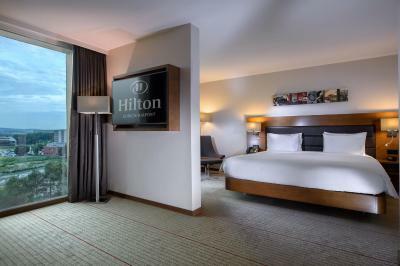 Decorated in warm tones, Hilton Guest rooms are spacious and provide work zones with high speed internet, easy chairs and large windows with views of Zurich northern business district. 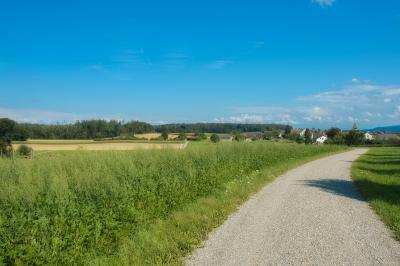 Private parking is available on site (reservation is not needed) and costs CHF 29 per day. 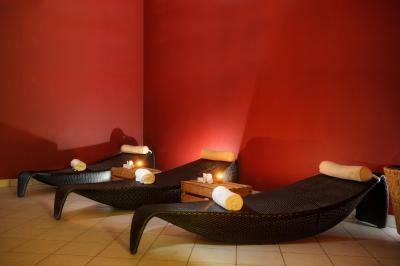 Spacious room featuring high speed wireless internet and a relaxing bathroom. Complimentary extras include early check-in as of 09:00 and late check-out until 14:00, free water (not from mini-bar), bathrobes and slippers. 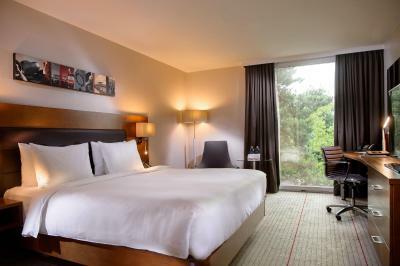 Room featuring free access to the Executive Lounge with free breakfast, snacks, drinks and international newspapers. A large desk is available in the room. 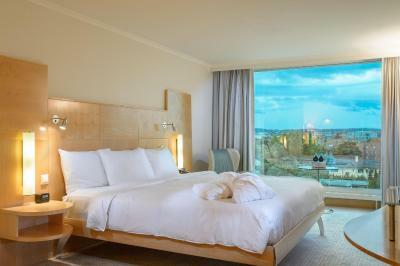 Stylish and spacious suite with a queen-size bed and separate working and living areas. 2 roll-away beds for children are available on request. 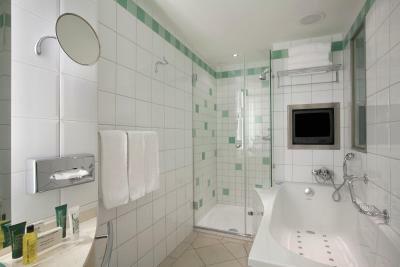 Some suites offer a second bathroom. 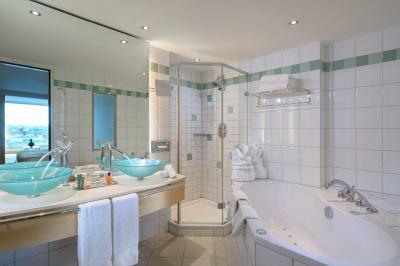 The room, decorated with light colors according to Feng Shui principles, features a separate working area and a private bathroom with a spa tub. 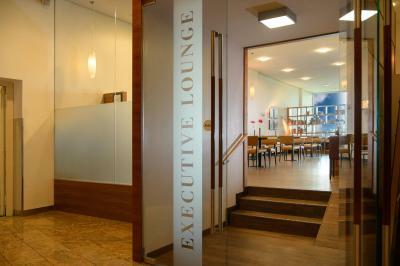 Access to the Executive Lounge is available. 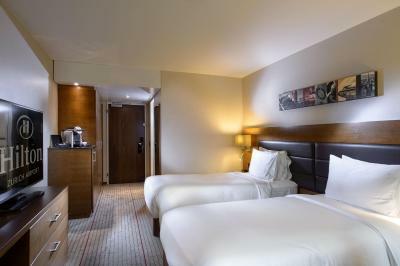 This spacious room with modern furnishings features free high speed Wi-Fi and a modern bathroom with free toiletries.Complimentary extras include early check-in as of 09:00 and late check-out until 14:00, free water (not from mini-bar), bathrobes and slippers. 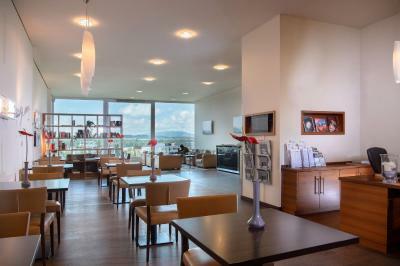 This room features free access to the Executive Lounge with free breakfast, snacks, drinks and international newspapers. A large work desk is available in the room. Decorated with rich, warm colors, the spacious rooms provide quality amenities including work zones with high speed wireless internet and large windows with views of the grounds or the city. 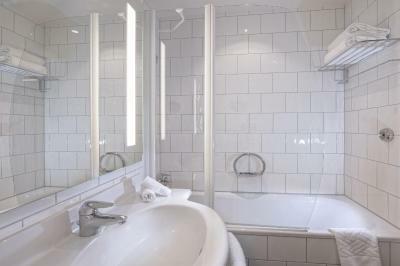 This double room features a sofa, tea/coffee maker and executive lounge access. 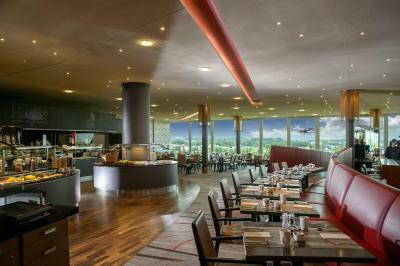 House Rules Hilton Zurich Airport takes special requests – add in the next step! 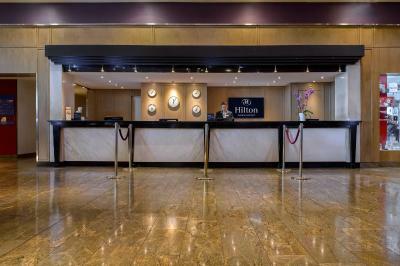 Hilton Zurich Airport accepts these cards and reserves the right to temporarily hold an amount prior to arrival. Please inform Hilton Zurich Airport of your expected arrival time in advance. You can use the Special Requests box when booking, or contact the property directly using the contact details in your confirmation. How can you have an international hotel that doesn’t supply its guests with any (YES NOT EVEN A SMALL BOTTLE) of water? Went out of their way to help me in every way. Gave me interesting ideas and treated me like a old friend. The overall ambience of the hotel was great and homely, near to the Zurich Airport with a direct shuttle bus (CHF 5.00 one way). The room was clean and the wi fi worked very well. Thanks! Fridge was empty. Should have basic stuff at least. Breakfast was 32 Euros. Little steep for a breakfast. Unattentive service. Instead of saying «how can i help», just got a glaze instead at the front desk. Had to ask and bring my own coffee and cutleries...meaning unattentive staff. I dont care about the price, but the service disnt match with regular standards. The room disnt throw away clearly trash for 2 days, had to put it outside the room to get the job done. Disnt replace any new tea, spoon except new soaps for 3 nights. Get your standards up guyes!! I can't say that there's something that I liked of this Hilton hotel. I'm a frequent traveler and I spend more od 150 nights per year across the world. I found this hotel out of the Hilton standards just like less a three stars hotel. In conclusion ... nothing to be apreciate. The cost of the room didn't include breakfast and the hotel charged for a shuttle bus back to the airport train station so we got the train instead which was a 10 mins walk away. We did this a few times as the hotel is quite far from the city centre but close to the airport so it wasn't that convenient. Clean rooms, friendly personnel, great breakfast. We got connecting room, extra beds organised without any hassle. The location is perfect for a night before the flight. Although noisy on the side facing the highway and the airport.